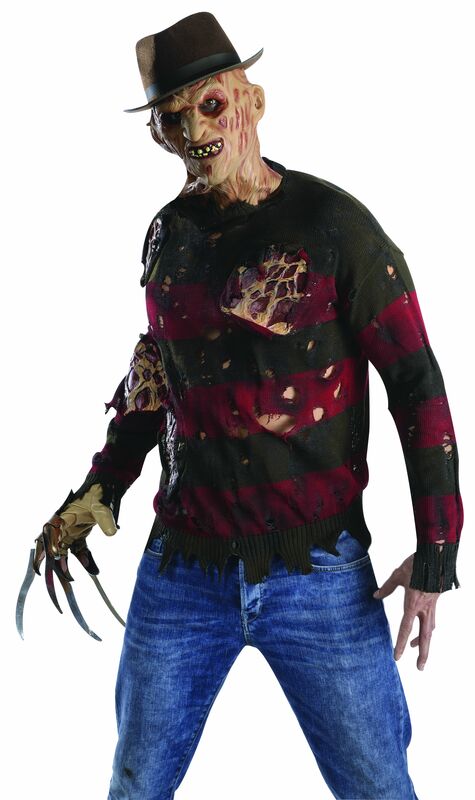 If you're going to dress up as one of the most fearsome characters in the history of modern horror, Freddy Krueger from the Nightmare on Elm Street movies, you may as well have the best costume! This green and red horizontally striped sweater comes tattered with torn, burnt and mutilated flesh underneath for an interesting look. Adult standard size fits up to size 44". Chest - 42 inches , sleeve length - 22 inches , shoulder to hem - 27 inches.